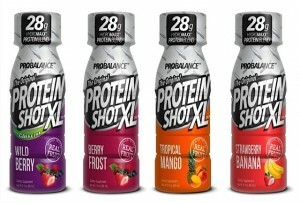 CLEARWATER, Fla. — Continuing its support of a healthy and active lifestyle for adults and young people, Pro Balance Inc. and its innovative product line of The Original Protein Shot™, www.theproteinshot.com, has announced the additions of Kevin McGovern and Bruce Paddock to its Board of Directors to further its leadership position. It is widely known that most people do not get enough protein in their diets to promote lean muscle growth, fat loss and to be properly energized for their active lifestyles. But that is about to change with today’s announcement of the aggressive expansion of The Original Protein Shot™, www.theproteinshot.com, which just made its debut at the southern Women’s Show in the Walgreens exhibitor Pavilion in Orlando, Florida. Combined with its unique 3oz. protein delivery system, The Original Protein Shot™ boasts a composition that is more convenient and accessible than virtually every protein supplement and protein powder available. It is lower in calories, carbs and sodium than the competition. It is also Gluten, lactose and caffeine free. For those who want additional energy, there’s a version with natural caffeine added and The Original Protein Shot’s™ 4 flavors, Tropical Mango, Wild Berry, Berry Frost and Strawberry Banana, are all natural. Each shot is expected to sell at a retail price of $2.99 per bottle.